On the lookout for a gorgeous counter but having a hard time figuring out what to get? 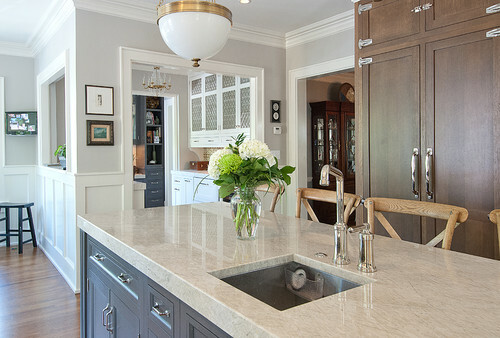 Quartzite counters may be your best bet. 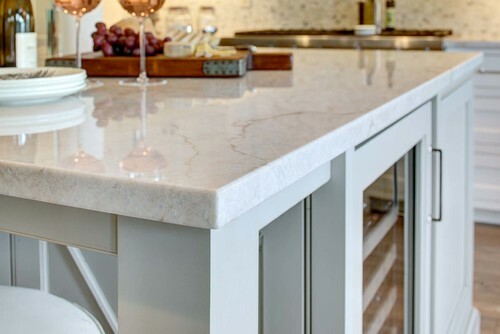 With a look that often mimics marble and versatility that rivals granite – a winning combination – quartzite is an often-overlooked option that offers durability, beauty, and uniqueness. Quartzite is often lumped together with granite, but the two are indeed separate materials; quartz and quartzite are quite different too. Quartzite is a natural metamorphic stone formed from sandstone; marble is also metamorphic, formed from limestone, while granite is an igneous rock, formed by solidified magma. 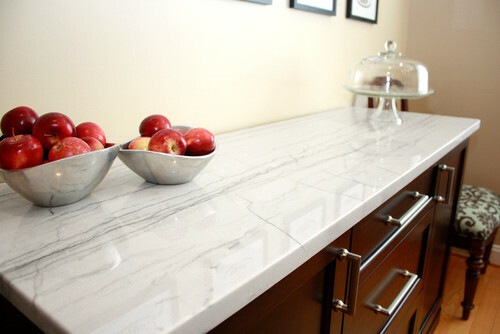 Quartz is an engineered material consisting of natural stone combined with resin. 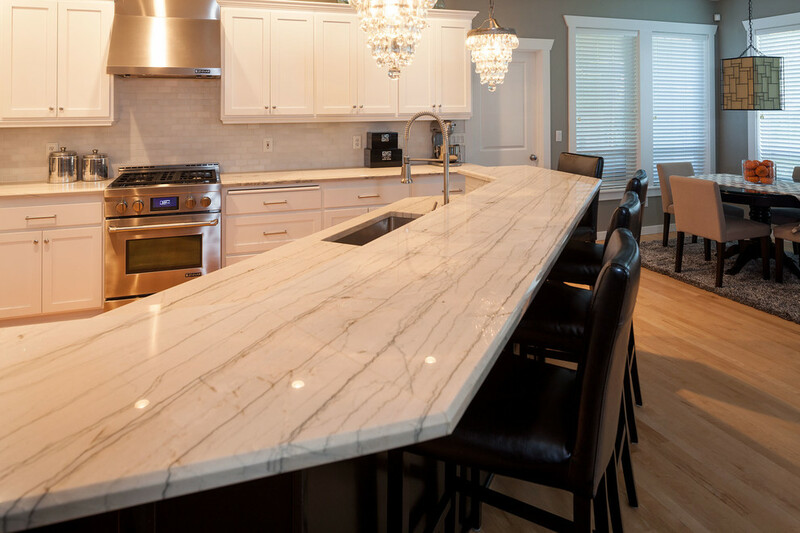 Quartzite is extremely hard, acid- and water-resistant, and hard enough to cut glass, making it an excellent choice for durable countertops. 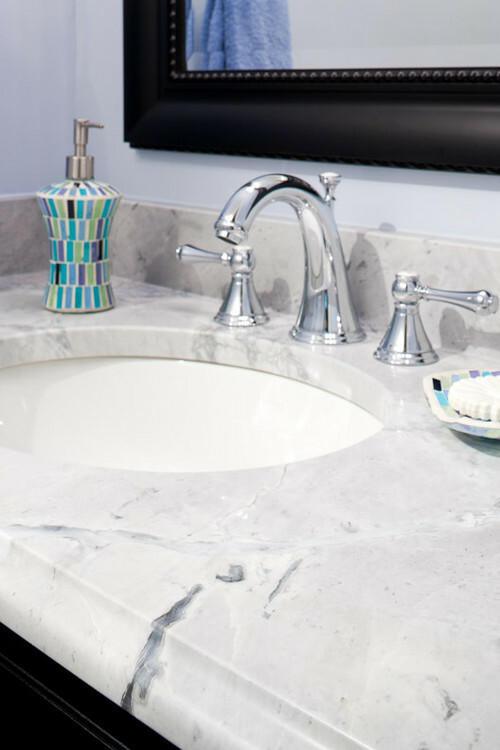 Because it’s similar to marble, quartzite is beautifully patterned and can even look like some marbles but without the staining and etching that’s common on marble, a softer stone. 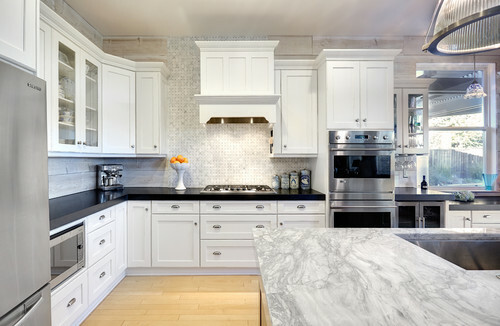 Common quartzite names include White Macaubus, Mother of Pearl, Taj Mahal, and La Dolce Vida (also known as Dolce Vita). Names vary from slab to slab depending on the fabricator and point of origin, so the slab you find may have a different name (or two). 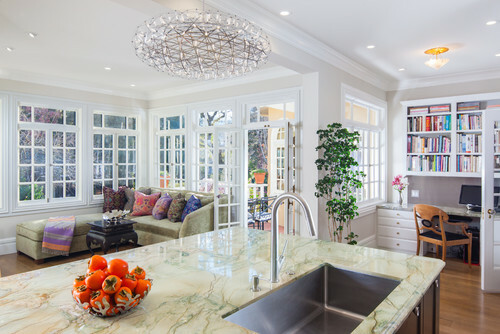 The downside: quartzite can be both pricey and difficult to find. If you’re leaning toward quartzite, be aware that not all marketed quartzites are 100% genuine high-quality quartzite – get a sample, pour water or acid on it, and try to scratch it with a glass; if it scratches or etches, it’s not real quartzite and you should steer clear of it. White Macaubus; Kitchen by Paula K., Urban I.D. 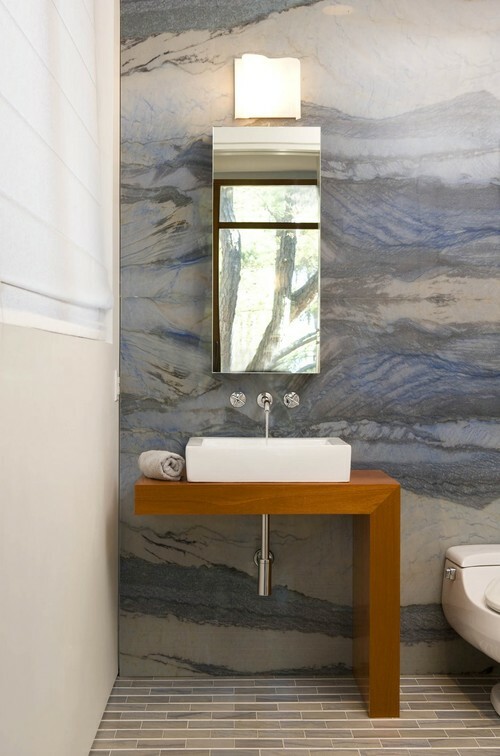 It’s not limited to kitchens; quartzite can shine in the bathroom, too.